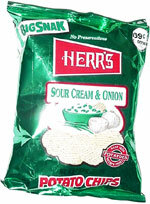 Taste test: Pretty good Sour Cream & Onion snack, a bit heavy on the powder side, lots of green flecks (is that the sour cream or the onion?) We had a huge 20 oz. value size for the Chip of the Day people at Network World, the bag went really fast. 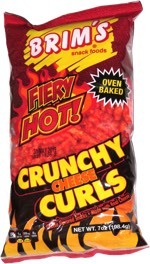 This snack was discovered by Amy S. in Delaware.